Love the vibrancy poinsettias add to holiday décor, but hard-pressed to deliver them to all of your nearest and dearest? 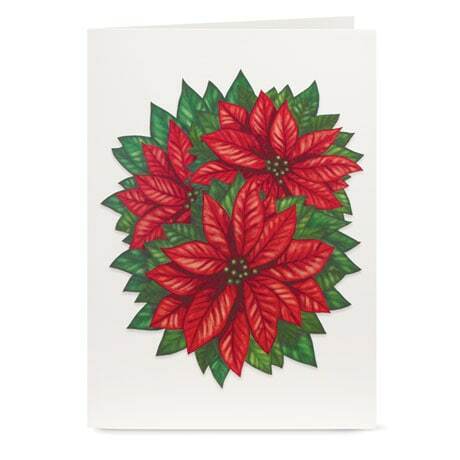 Send gorgeous scarlet-and-emerald poinsettias across the miles with our Cheerful Poinsettia Pop-Up Christmas Cards. 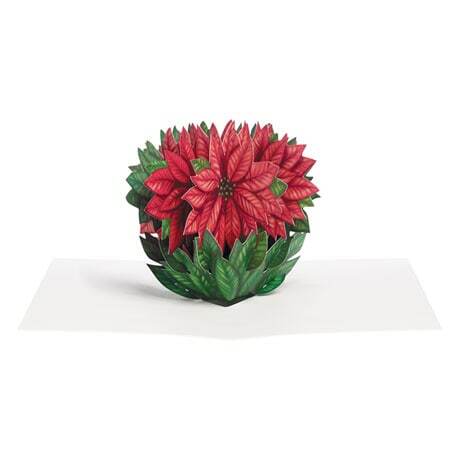 Peter Dahmen's colorful painting graces the front of these creamy 4½"x6¼" note cards; inside, a lovely 3D plant "blooms" alongside the simple message "best wishes!" What a wonderful way to brighten someone's season…and no watering required! Boxed set of eight cards and envelopes.